Contact Leanne Furlonger at Cats & Kittens to express your interest. Another successful adoption - amazing work Cats & Kittens! More successful adoptions - amazing work Cats & Kittens! 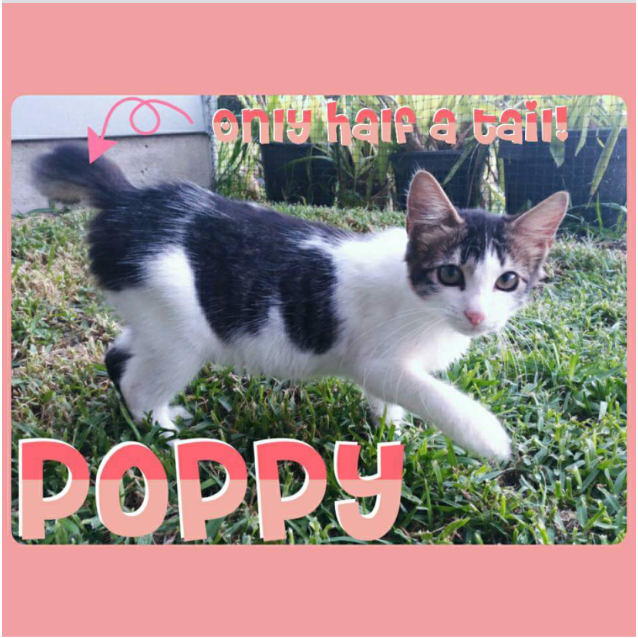 Purrfect Poppy has the best little personality. She was born with just half a tail which makes her a Manx X. Poppy loves the company of other cats, dogs, children, farm animals.